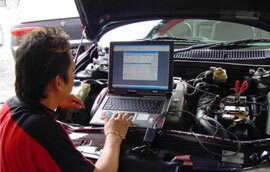 With some of the latest and most up to date diagnostic equipment, we have the facilities to read all European, Asia Pacific and Japanese Import vehicle management systems, including EML, ABS, Airbag etc. 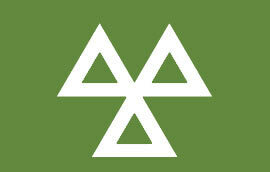 Currently offering pre-booked MOT’s while you wait, with appointments daily, Monday to Friday, starting from 8.00am, with our last MOT available at 4.00pm. Prices starting from as little as £21.95 (conditions apply). Cadnam Garage Services are ECT remapping specialists and are authorised dealers for Viezu, the world’s leading economy and performance ECU remapping service. Whether you are looking to boost your economy or improve your vehicle’s performance, we have the tuning tools to deliver the results you want. Our ECU remapping experts are happy to help you chose the best ECU remapping option for your vehicle. We carry a small stock of used vehicles which are carefully chosen because of their documented history, typically low mileage, and desirability and appeal to the local market. 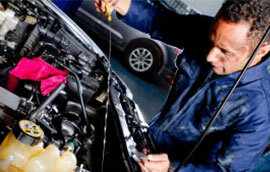 All vehicles come with a full warranty & guarantee along with 12 months MOT.